A warm evening makes it a fantastic time for a cruise on your boat. But, just like when you’re driving a car after sundown, it’s important to make some adjustments to keep yourself and others safe. Know where you’re going. Everything looks different when it’s dark, so stick to familiar places when you’re on the water at night. A GPS device or a good old-fashioned compass are worthy items to have on hand to help with navigation. Make sure someone else knows where you’re going. Give a “float plan” to a trusted friend or family member. Include your intended route, your boat’s registration details and description, the names of passengers and when you plan to return. Have the right safety equipment. You need navigation lights that work (test them before you go), a horn or other sound-producing device, a radio, a flashlight, flares and fire extinguishers. And don’t forget life jackets for everyone on board. Watch the lights. You should already know what the lights on other boats indicate; now you have to look for them. Lights from anchored or drifting boats can be particularly difficult to differentiate from lights onshore. Avoid distractions and drinking. Drinking while operating a boat puts you and other people at risk- refrain from doing so. Since your vision is limited at night, sound becomes more important. A loud stereo could drown out the horn of an approaching boat. Remember, it’s not just you out there. There’s room for everyone on the water, as long as you keep an eye out for each other! 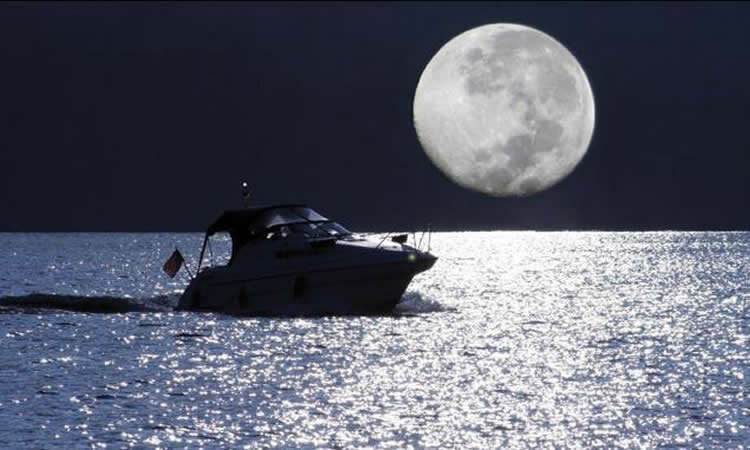 From all of us at Absolute Insurance, have a safe and happy boating season!